The health care leader in India is facing stiff competition from new cash-rich chains. In 1972, cardiac surgeon Dr Prathap C. Reddy returned to India with his family, sacrificing his flourishing practice in Springfield, US, and at the renowned Massachusetts General Hospital. The doctor from Chittoor in Andhra Pradesh settled in Chennai and first started practising at HM Hospital, but always dreamt of creating a world-class private health care facility in India. 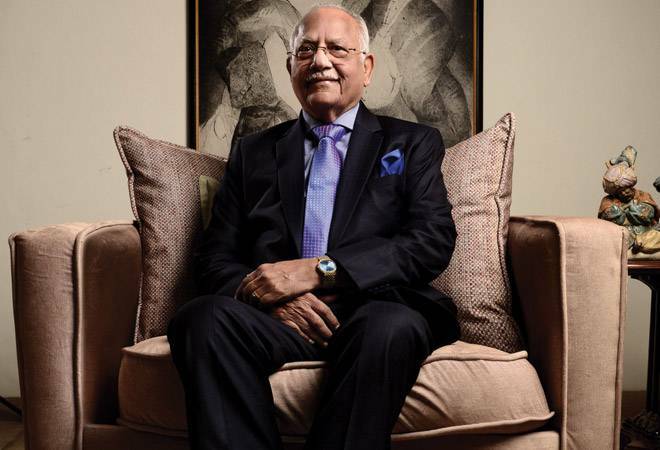 Dr Reddy lobbied with the government and mobilised support of some 10,000 fellow doctors and contacts in the US and other countries to float Apollo Enterprises Ltd in 1979. Then he hired top doctors like Dr M.R. Girinath and professional managers like V.J. Chacko. "Apollo Hospitals in the erstwhile Madras opened its doors on September 18, 1983. I was 50 years of age then, typically a point in time when most people start contemplating retirement", remembers Dr Reddy. After 34 years, he is still hands-on in driving Apollo as its chairman and has unbelievable energy levels. Every day the doctor does routine ward rounds, attends business meetings and discusses strategies with his four daughters who run the Apollo business empire that crossed over a billion-dollar revenues last fiscal. So far, the Apollo growth story and Dr Reddy'saura as the architect of India's corporate health care has remained intact. But can the four daughters sustain the momentum after Dr Reddy? It's a question many investors are asking and there are reasons. India's private health care scene is fast changing. Numerous low-cost health care chains have come up challenging entrenched players like Apollo, Manipal, Fortis or a Max. Some of the world's largest hospital chains like Parkway have entered Indian shores through large acquisitions. Cash-rich big chains from West Asia like Dr Azad Moopan's Aster, Dr V.P. Shamsheer Valayali's VPS Healthcare and Dr B.R. Shetty's NMC Hospitals are fast expanding in India. Apollo's revenues are increasing but margins are under pressure. Debt has ballooned to over `3,000 crore. 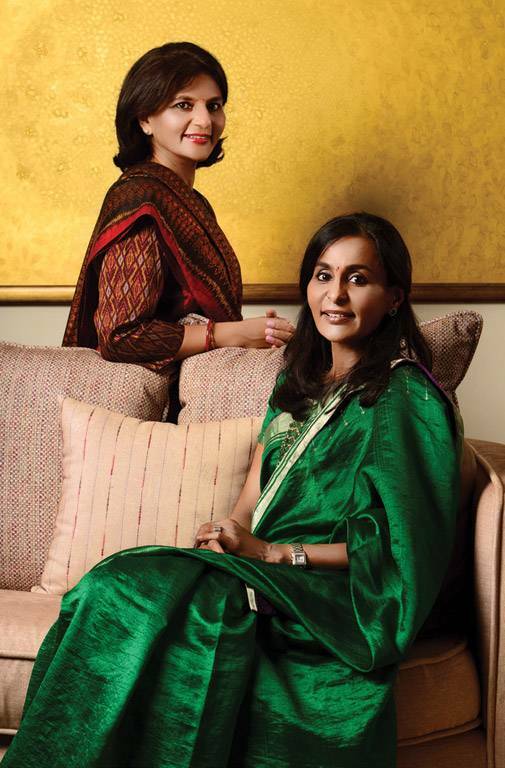 Four women with equal powers, running a single business entity is not a familiar sight among large family-run Indian corporates. After all, will they quarrel among themselves for power, wealth or position that may lead to crumbling of the empire, wonder some pessimists. Their husbands have different and diverse businesses to look after. Then, will the third generation show the same passion in running Apollo, which their grandfather and mothers painstakingly built over the years? Dr Reddy and daughters did not evade these questions and were forthcoming enough to reveal the blueprint for a future Apollo. In the process, they talk about how Apollo has been investing with an eye on the future to remain perched at the top. They also reveal how induction of the third generation is planned from next year onwards at the management level. More on how Reddys daughters are gearing up a little later in the story. First, lets take a closer look at the challenges before the Apollo management. Apollo's management offices now have air of an emergency war room. Every Monday, the senior leadership is huddled in a conference call led by Dr Reddy and his four daughters, along with some from the third generation and key executives like Group President K. Hari Prasad, Group Medical Director Anupam Sibal and CFO Krishnan Akhileswaran. It was done only once a month until three months ago. "It is a quick half an hour catch-up on what happened last week, what is the outlook for the coming week and what are we focussing on," explains 54-year-old Sangita Reddy, the youngest daughter and Joint Managing Director of Apollo Hospitals, who tracks operations, HR and IT at Apollo. From a single hospital in 1983, Apollo now has 70 hospitals with total bed capacity of 9,957 beds (as of Sept 2017). These hospitals have 8,873 owned beds, including 11 day care/short surgical stay centres with 229 beds and 10 cradles (birthing centres) with 311 beds. In FY '17, total revenues were `7,255 crore, 16.7 per cent higher than the revenues of `6,215 crore in FY '16. But net profit for the period was only `225 crore, 6.5 per cent less than the `236 crore in the previous year. EBIT margins also fell from 6.8 per cent in the previous fiscal to 5.7 per cent in FY '17. In the first quarter of 2017/18, revenues were `1,903 crore with a net profit of `90 lakh. Operating margins were 8.67 per cent and net profit margin was only 0.05 per cent. For the six months ended FY '18, Apollo registered a revenue of `3,996 crore as against a previous year corresponding period revenue of `3,506 crore. Profit after tax for this period was `49.7 crore - it was `111 crore in the previous year. Apollo, then, is clearly facing the heat of competition. "I think that the scale and reach that we have built will stand us in good stead against competition. Today, we are twice the size of our nearest competitor both in beds and revenue," says Dr Prathap Reddy. Rivals admit that taking on Apollo is a tough task. "Apollo is Apollo and it is an iconic health care brand. Its scale, infrastructure, eco-system and capabilities match global standards and can withstand competition from overseas chains like us," says Dr Shamsheer Vayalil, Managing Director and CEO, VPS Healthcare. Other competitors concur. "Apollo has been there in this service for a long time and we don't look at them as a competitor to beat. India has huge potential and every health care provider should try to tap that opportunity," Dr Azad Moopan said in a recent interaction. Apollo leadership, too, emphasises that they are way ahead of compeition. "Competition is selling products at lower price points, their acquisitions are at a higher price and they cannot sustain like this and compete with us in the long run, when compared to the eco-system and investments we have done over the years," says 57-year-old Suneeta Reddy, Managing Director. "We added 30 per cent of capacity in the last three years," says Dr Reddy. But that expansion is straining the balance sheet. Overall debt has increased to over `3,190 crore by the end of second quarter of 2017/18. Standalone total liabalities until the end of first six months of FY '18 were close to `4,000 crore. The main problem is that expansions in new Tier-II and Tier-III cities haven't started contributing much. Only 28 of the 43 hospitals are over five years old. Apollo had nearly 7,000 beds operational last fiscal, but majority of its hospital revenues is coming from its traditional bastion of Hyderabad and Chennai clusters, which have about 16 hospitals. While Chennai generated revenues of `1,466 crore with a growth of nearly 3 per cent, Hyderabad contributed `654 crore, a growth of 14.6 per cent over the previous year. Other hospitals, which account for about 15 facilities and 2,179 beds, contributed only `951 crore last fiscal, though with a growth of nearly 19 per cent. "The pressure on margins is because of our 30 per cent capacity additions in the last three years and thus fixed costs are increasing. While Chennai and Hyderabad circles are matured businesses, the next will be Bangalore circle and we have a five-year strategy for Mumbai and Delhi," says Suneeta Reddy. She says hospitals in Bhubaneswar, Mysore and Madurai are now giving 22 per cent margin and within a few years the Tier-II and Tier-III stories will deliver for Apollo. Another issue is the margin pressure on its 2,550 plus hospital pharmacies that contributed `2,874 crore or close to 40 per cent of revenues. Its EBITDA was `123 crore, (4.3 per cent margin) in FY '17, better than the `80.3 crore or (3.5 per cent margin) in FY '16. "We have moved from 2 per cent to 4 per cent EBITDA and will get to 6 per cent EBITDA in the next two years. There is enough scope to grow. We have 40 million customers in the Apollo network that we can leverage", says Shobhana Kamineni, Executive Vice Chairperson. "The current margin pressure on pharmacies will change once our private label products and acquired chain start contributing higher margins", says Suneeta Reddy. Its next gen incubating businesses are also posting losses. Apollo Health & Lifestyle (AHLL), Apollo's retail health care arm - which has 70 primary clinics, 34 diabetic care centres and 244 diagnostics labs along with 74 dental care, 7 dialysis, 12 spectra surgery and 12 cradle-birthing centres - together had revenues of `244 crore in FY '17, with a negative EBITDA of `107 crore. The only businesses that have gained some scale are clinics, cradle and diagnostics. Suneeta Reddy says AHLL is moving towards a planned overall breakeven by FY '20 and will be positive at unit level in FY '19. International Finance Corporation (IFC) had invested `450 crore to get 29 per cent stake in AHLL last year, valuing the company at `1,860 crore. A scan on basic parameters, which determine health of a health care facility, also shows Apollo should vastly improve its health, especially in new and maturing hospitals. Average Revenue Per Occupied Bed (ARPOB) was `29,867 in FY '16, which increased by 5.6 per cent to `31,529 by FY '17. While Chennai region's ARPOB was `44,679 with a growth of 9.9 per cent over the previous year, the same at Hyderabad was `33,274 with a growth of 18.1 per cent. But the same is only `20,416 at other hospitals and `31,553 at its main JVs and associate hospitals. Bed occupancy rate for Apollo is 64 per cent and average length of stay (ALOS) has improved from 4.17 to 4.04 in a year, which helps in slightly better margins. But in that case also, the other hospitals are behind at 4.27 days. Compared to Apollo, its main rival Fortis Healthcare's EBITDA margin was 8.2 per cent, ARPOB at `1.51 crore, ALOS was at 3.53 days and average occupancy was at 71 per cent for the first quarter of 2017/18. Suneeta says Apollo has stopped its expansion spree in the short term and efforts are on to improve margins and effectively optimise the 10,000 beds and utilise them as good as 12,000 beds. "The average occupancy now is around 60-64 per cent and this will move up to 70-72 per cent in the next 18 months", says Sangita Reddy. "In the marketing team, every regional CEO is involved with making rounds, meeting doctors and gets a marketing toolkit or a grid with details of advertising, outreach programme, etc. All they need to do is follow the grid and reach their targets." Another issue is that 30 per cent of its trained paramedics are losing out to competition and retaining quality talent is a challenge despite running 18 nursing colleges and a medical college to train doctors. "None has a medical education eco-system like what we have created and it is advantageous for us to face competition", says 59-year-old Preetha Reddy. Despite the challenges, Prathap Reddy and daughters are confident. Already, they claim, investments have been done for the future. Dr Prathap Reddy says that Apollo plans to add superspecialty and quaternary care beds with an eye on non-communicable diseases (NCDs). Large number of health checks for early detection and coordinating with the public sector in a big way is part of the plan. Another focus area will be medical value tourism (MVT), which is set to be a $100-trillion business opportunity by 2020 and $200 trillion by 2025. Currently, Apollo's share is miniscule in the MVT business. "We will focus on few key imperatives like reinforcing our clinical differentiation in specialties like cardiac sciences, orthopaedics, transplants, neurosciences and oncology. Secondly, we will strive to enhance our volumes in robotics and minimally invasive surgeries. Thirdly, we will increase the digital connect for both patients and doctors to help extend reach and amplify productivity", says Dr Reddy, listing out future plans. Preetha and Suneeta say Apollo's expansion spree phase is over for now. In FY '19, plans are to start a 200 bed Proton Therapy next-gen cancer hospital in Chennai, besides the Oncology block in Navi Mumbai and expanding the Indore hospital. In 2021/22, a 500-bedded superspecialty hospital will come up in Mumbai. The overall spending on these expansions are `1,190 crore, of which `358 crore has been already spent. 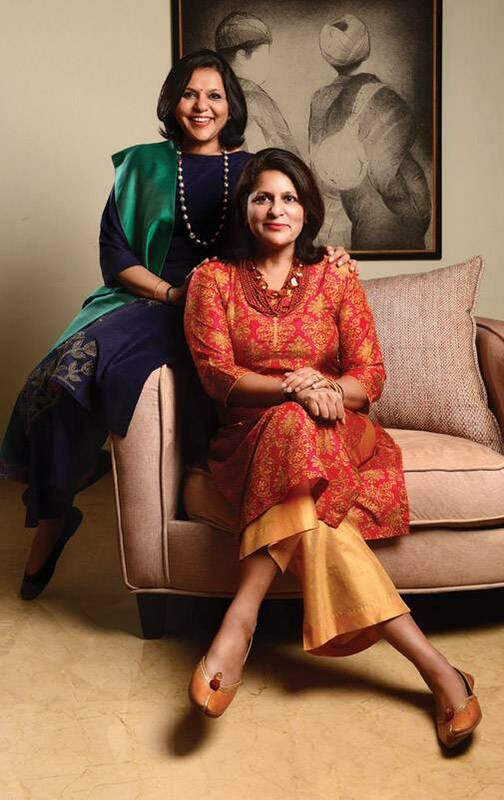 Suneeta and Preetha say future health care is moving towards new small formats like day-care surgical centres, birthing centres, home care and insurance-driven business. The hospitals will be primarily for complex and tertiary care in future. Hence, driving investments into AHLL is part of the future plans. Digital and technologies also will be key to Apollo's future, says Sangita, citing an example of an internal assessment that revealed 40 per cent of a nurse's time was spent on non-nursing activity such as housekeeping or unwanted documentation. Apollo created an intercom connectivity called 'Dial 30', which will give patients or relatives information on all queries related to discharge, billing or ambulance. "So far, 17 such processes have been standardised across the system to become more customer-centric, retrain staff and improve efficiency throughputs and speed of operations," she says.While all the hospitals are going to be digitally mapped and analysed every day with different parameters, each will have an AOP (annual operating plan) depending on the location and local environment. While business plans for the future are settled, the octogenarian entrepreneur has now enacted a family constitution for the future of Apollo and his wealth. On February 1 last year, the day when Dr Reddy and his wife Sucharitha celebrated their 60th wedding anniversary, all the family members, that included his four daughters and 10 grandchildren, agreed to sign a family constitution. The future plans include inducting at least one grandchild from families of each of the four daughters. "For the grandchildren (3 girls and 7 boys, aged between 17 to 34 years), the family constitution, which we signed on February 1, 2017, allows them time to explore other businesses before they come back. To foster meritocracy and transparency in management, the roles will depend on interest, performance and achievements they show in the relevant business," says Dr Prathap Reddy. The 34-year-old Sindoori Reddy, daughter of Suneeta Reddy, is COO for the Southern Region and overseas 13 hospitals. The 30-year-old Upasana Kamineni is Vice Chairperson (CSR), AHEL, and Managing Director of Apollo Life, which runs wellness centres. "Anushpala Kamineni, another daughter of Shobana Kamineni, looks after pharmacy and private label. Preetha's son Karthik Reddy is into education and insurance; Harshad, Preetha's another son, is into Homecare," adds Dr Reddy. Karthik is also helping his mother run operations of the Mumbai facility and in setting up the next generation cancer centre coming up in Chennai. Those who are now working in Apollo like Upasana, Karthik or Sindoori are given targets and milestones to achieve and their growth in the organisation will be purely on merit, say Preetha and Suneeta. Preetha Reddy says Apollo is into all aspects of integrated health care and all the children will have ample responsibilities. Despite all the efforts, will the daughters think of selling off the hospital chain if a cash-rich global chain offers huge money? "For that our DNAs will have to change. We breathed and tasted only health care in our life. I am sure of our generation, but don't know what will happen in the next generation," Preetha Reddy concludes with a laugh.